Coloring + treatment at once! Easy hair color change for a week to enjoy. 5 to 10 minutes after shampooing, color treatment can express desired hair color without hair damage. 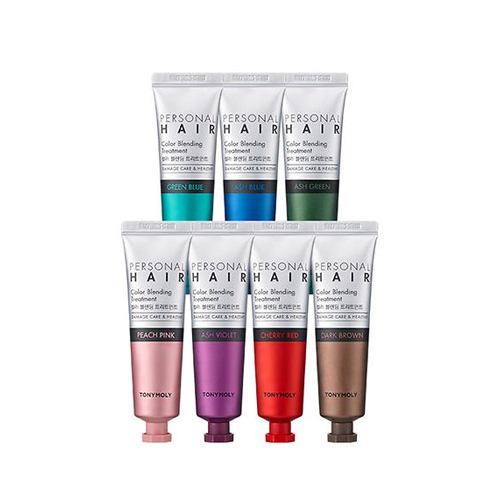 A temporary hair dye coloring treatment system attaches pigment to the hair surface and keep color for one week. 17 Amino Acid Complex, protein ingredients are absorbed into hair to protect damaged hair and make hair elastic. After shampooing, dry your hair with towel. Apply the color treatment evenly on the hair with the provided disposable gloves. Leave it for 5 - 10 minutes and rinse off thoroughly with lukewarm water. Make sure to dry your hair completely after use otherwise clothing may be stained. After use, DO NOT use any shampoo, rinse or other hair treatments.